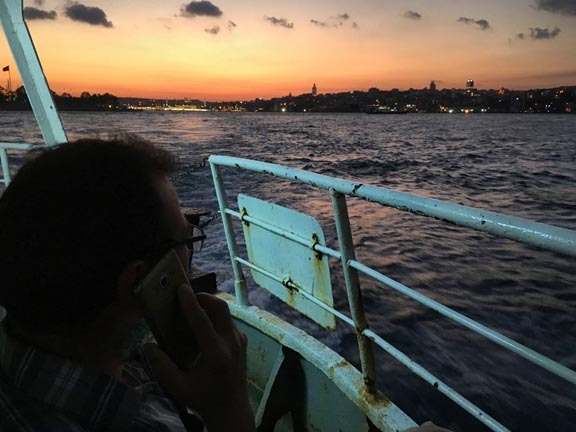 Istanbul- I realised upon arriving in Turkey’s commercial capital tonight this visit marks twenty years of my coming here. I first came to Turkey in the middle of a EU to MENA backpacking trip in 1998 between semesters. I’ve been back virtually every year ever since for very different reasons each time. Turkey is the cultural and transport naval of my world. Bordering Greece, Syria, Iraq, Iran, Georgia etc, Turkey is essential. It is also a comparatively functional place in highly dysfunctional region. 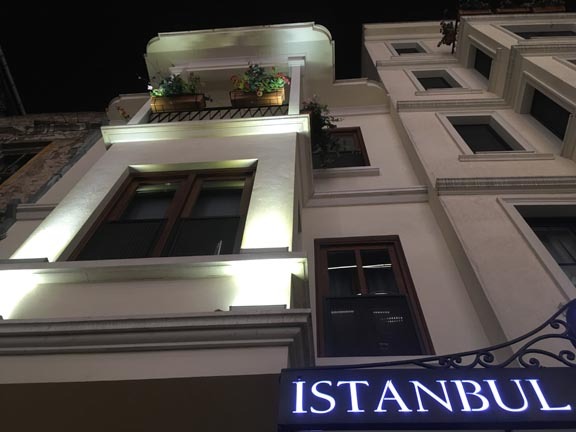 All connective air transport is routed through Istanbul, rather than Ankara, the centralised political capitol in the Anatolian heartland. As volatile is this area often is, regional airports open and close whether due to geopolitical feuding or kinetic political violence, there are plenty of long overland routes to reach forlorn land borders where chai and marlboros are smuggled as an integral cog in the local cross border economy. Walking in the frosty warrens along the Bosphorus tonight, I reflected upon two decades of change in Anatolia, the Caucasus, and the Levant. In 1998, as a young but not entirely naive university student, the Turkish military was on the brink of invading Syria over its southern neighbour’s support of the PKK. The Assad regime had supported ethno-nationalist Kurdish irredentists owing to its own regime-held irredentism over Turkey’s Hatay province (formerly the Sanjak of Alexandretta) and humiliation over Turkey’s damming of of the Euphrates (Firat in Turkish, al-Furat in Syrian Arabic) river so crucial to Syrian industry and agriculture. That war in the summer of 1998 never came to be after negotiations led to the Adana Agreement in October of that year which saw PKK leader Abdullah Ocalan expelled from his Damascene sanctuary and the Assad regime ceasing its support for Kurdish rebels. Yet here we are in 2018 and Turkey finally has invaded Syria, this time to crush the Kurdish enclave of Afrin (or Efrin as Syrian Kurds prefer). When I checked into my hotel room tonight the first thing I see is live broadcast from Hatay regarding Turkey’s troop movements in Syria. Diplomacy seemed to work to at least some degree back in the 1990s. No more. 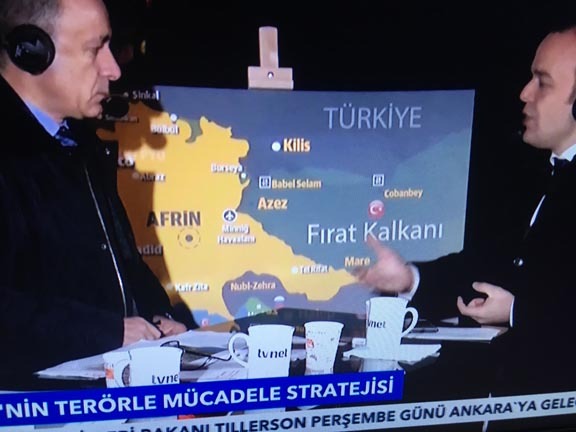 Turkish current events commentators discussing developments in their military’s war on the Kurdish canton of Afrin.